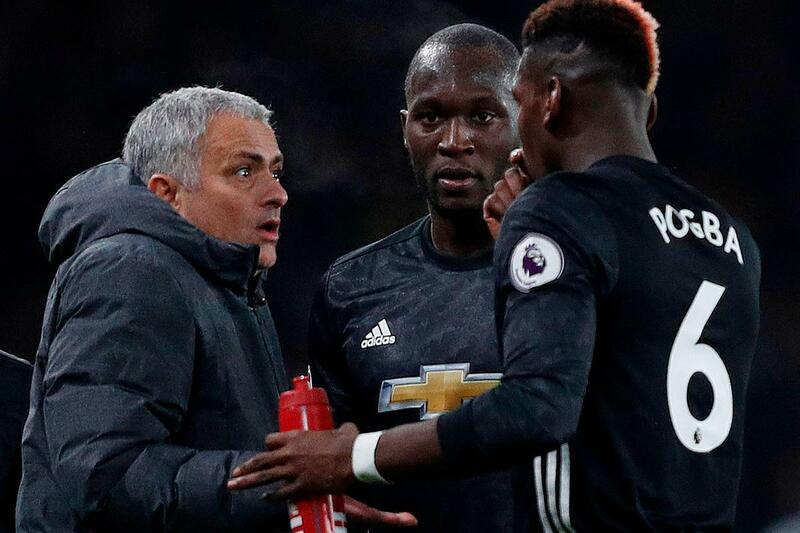 Jose Mourinho expects the Manchester United board to back him completely over his amazing public bust-up with Paul Pogba. Mourinho’s tetchy relationship with the Frenchman hit a new low on Wednesday in an ugly stand-off played out in front of Sky TV cameras at training. The United boss can be heard saying “Get out” during a row with Pogba over a late-night Instagram post. Mourinho was livid with a video that went live after United’s shock defeat to Derby on Tuesday night which showed midfielder Pogba and club-mate Andreas Pereira laughing in the stands. Mourinho confronted Pogba about it when he ran on to the Carrington training ground. The post went out at 10.28pm — but it had actually been filmed in the first half of United’s Carabao Cup match. Issues with the club wifi have been blamed for the post going out later. It looks like Jose Mourinho wasn’t too happy with Paul Pogba’s Instagram post last night. United were leading 1-0 at the break — but went on to lose on penalties after a 2-2 draw. It is the latest in a series of clashes between the pair this season. And Mourinho wants the same kind of backing from executive vice-chairman Ed Woodward that former boss Sir Alex Ferguson received in his player-power battles. Fan polls have been asking which man they support — and Mourinho sees it as a test of his status at Old Trafford. The bust-up will only fuel rumours over the future of United’s £89million club-record signing. Pogba was seen making a two-fingered salute to cameras as he left training yesterday. Juventus are expected to lead the chase for Pogba in January. SunSport can reveal the Italian giants discussed a deal to re-sign him AFTER landing £99m Cristiano Ronaldo. And they are ready to battle Barcelona for the 25-year-old when the window reopens.